Join Pink Zebra Kit Special Black Friday Offer - $20 Starter Kit! Yes you read that right!! Join Pink Zebra for Just $20!!! Join My #1 Team for the low price of $20. The Starter Kit normally sells for $99 but for Friday Only You Can Get it for the low price of $20, thats $280 worth of products. 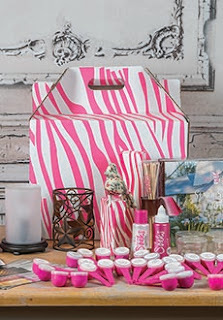 *Pink Zebra reserves the right to change product in the kits for equal or greater value without notice. 10 FREE Jars of PINK ZEBRA Sprinkles! FREE GIVEAWAY FROM THE ZEBRA DIVA! 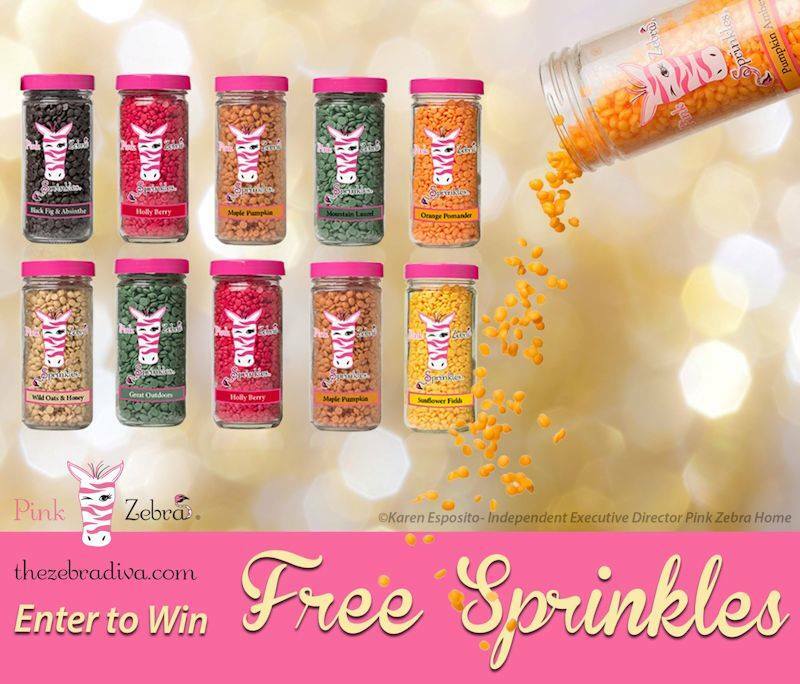 The Zebra Diva is giving away FREE PINK ZEBRA Sprinkles! choice of 10 jars of Sprinkles! 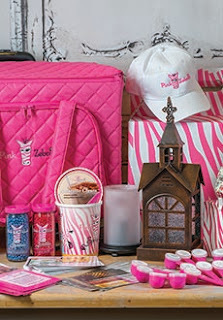 Would you like to learn more about Pink Zebra products or about how you can earn extra income with Pink Zebra? I would love to have you JOIN MY TEAM and achieve the same SUCCESS as I have as a TOP LEADER, AWARD WINNER and EARNER. Message me directly for more information about the contest or for more information on how you too can start earning the income you deserve. Good luck!!! *Existing Pink Zebra Consultants not eligible to win. US addresses only. One entry per household. Need To Make Some Extra Holiday Cash? 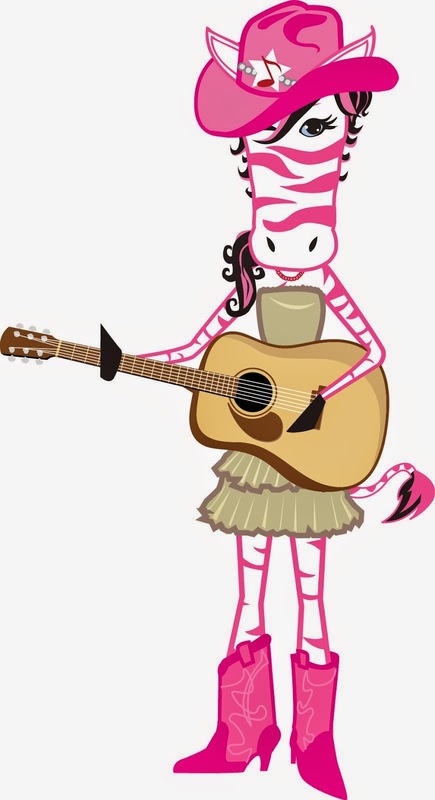 Join #PinkZebra and my #1 Team. Business Kits are 20% off for the entire month of November! Start earning what you deserve. Your deluxe kit contains: Core fragrance samplers, 1-Simmering Light, 1-Simmering Lights Shade, 1-3.75 oz. Soaks, 1 Just Add Soaks-Lotion, 1- Just Add Soaks- Clip-It, 1 Just Add Soaks - Woolie, 2-3.75 oz. Jars of Sprinkles, 1-16oz. Carton of Sprinkles, 1-Glimmer Candle Kit (petites), 1-25 Pack of Order Form, 1-10 Pack of Quick Start Brochures, 1-10 Pack of Opportunity Brochures, 1-50 Pack of Party Invitations, 1-25 Pack of Catalogs, 1-Zebra Rolling Case, 1-Zebra Handbag and 1-Pink Zebra Logoed Ball Cap.